Dansaekhwa III: Formation and Recurrence, curated by SM Fine Art Gallery in Seoul, South Korea and New York. Featuring the multilayered monochromes of Kim Tae-Ho and the iconic water drop paintings of Kim Tschang-Yeul, who has been painting this fluid life force for more than four decades, this survey includes some of the most iconic works from two of the genre’s minimalist masters. One of the most esteemed philosopher-painters of the late twentieth century, Kim Tschang-Yeul, has spent the past half-century investigating the fundamental meanings of representation and abstraction. His works are unique fusion of Asian metaphysics and calligraphy, New York color field painting and trompe l’oeil illusionism. “The effect of surprise in the picture is comparable to Zen dialogue,” he says. Returning from last years Special Exhibitions is BAIK ART with Korean Minimal Abstraction artist’s Suh Seung-won and Young-il Ahn. Suh Seung-won is a painter and a former member of the first Korean art movement that earned global acclaim. The Dansaekhwa exhibition, Five Korean Artists, Five Kinds of White, held in 1975 at Tokyo Gallery included Kwon Young-woo, Park Seo-bo, Suh Seung-won, Lee Dong-youb, and Hur Hwang. Dansaekhwa is a form of monochrome painting in which canvas is soaked, paint pushed, pencils dragged, paper ripped and other materials manipulated in ways that provoke minimal abstraction. Since that first exhibition, and especially during the 1980s, other artists such as Kim Hyung Dae, Lee Seung Jio, Yoo Byeong Hoon, and Young-il Ahn began painting in the Dansaekhwa style. However, Suh Seung-won is considered to be one of the seminal artists of the historical movement. 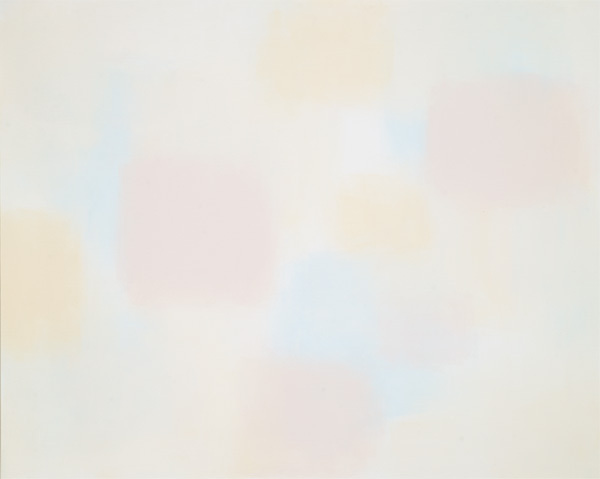 For the past forty years, he has held unfalteringly to a theme he calls Simultaneity, in which the depth of space has greater meaning than the width or height and pastels fill each canvas with meditative tones. Young-il Ahn is a Korean-born painter who has lived in Los Angeles for fifty years. Ahn spent most of his childhood in Tokyo, Japan and began painting from the early age of six years. For decades, he committed his energy and spirituality to his Water Series, which comprises almost 400 monochrome paintings, and the artist continues making these water-inspired abstract paintings. The colors that Ahn uses to represent seawater evoke the sense of tranquility and mystery that the ocean exerts on our psyche. 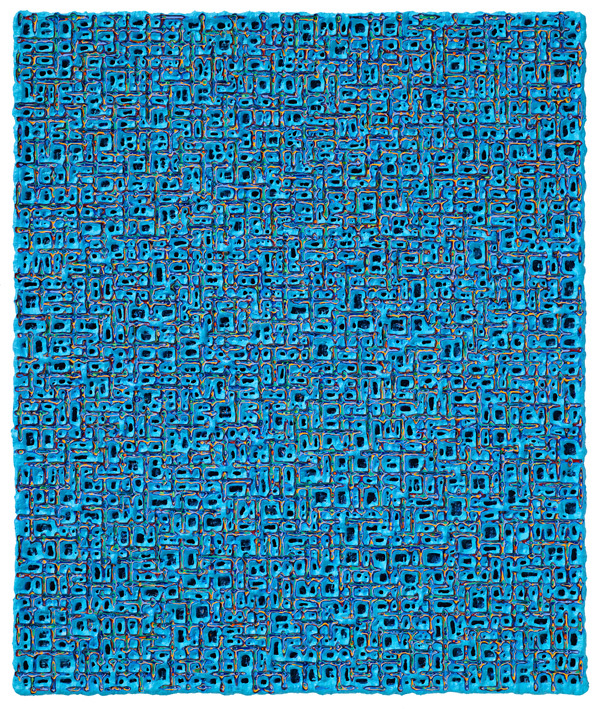 His canvases are composed of small, repeating, square-shaped dabs of color. 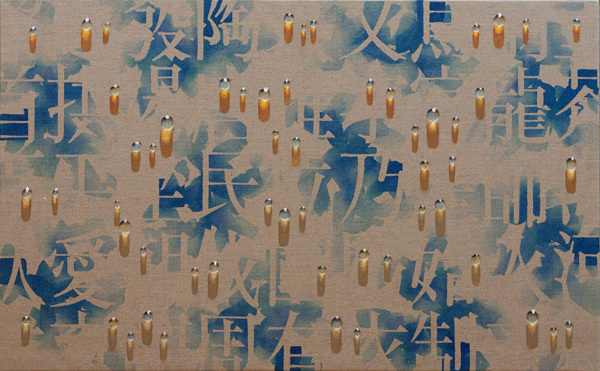 The recurring units are further emphasized by their lyrical arrangements in the makeup of each painting in the series, which is inspired by the Pacific Ocean and transparent sunlight of the blazing California sun. 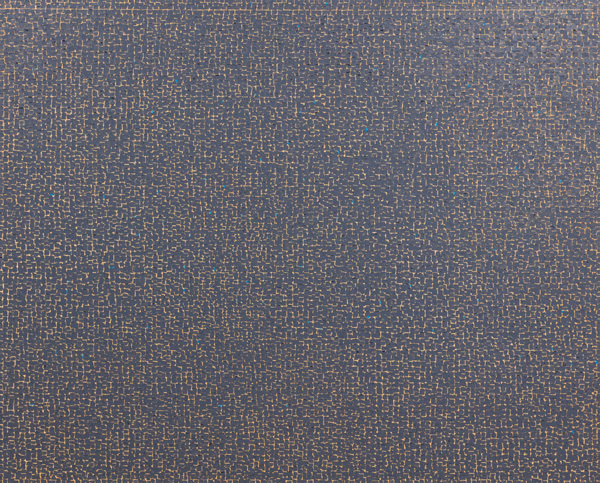 This repetitive feature in his work comes from the same artistic tradition as the first-generation Korean Dansaekhwa painters, except that Ahn’s handling of his art is founded upon the relationships between complementary colors rather than monochrome.